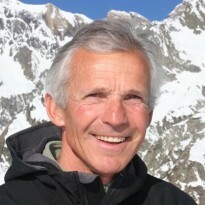 Presentation Guy Mevellec is a UIAGM guide since 1983, and a ski instructor since 1985. He has a wide experience as an alpinist, a high level as a rockclimber and he has been very active for the development of the guiding activitiy in the french and spanish Pyrenees. He lives in Pyrenees, France.and Madrid spain and he has acquired a thorough knowledge of the Peninsula. Pour réaliser les courses dont vous rêvez, engagez un Guide de haute montagne à titre privé.